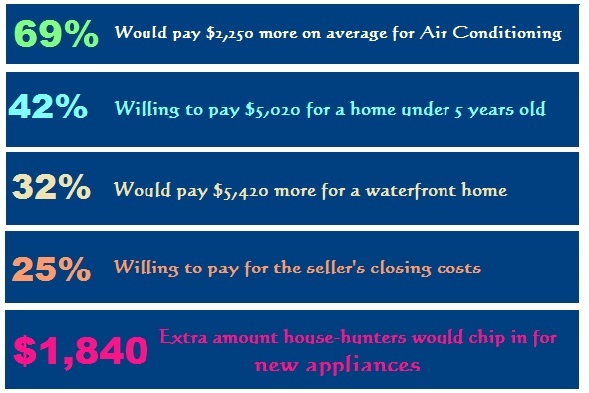 1 in 3 Home Buyers are Willing to Bid ABOVE Asking Price. A recent survey by Trulia found that over 30% of current home buyers are willing to offer more than the asking price to secure the house they want. With a tight inventory of available homes nationwide combined with the threat of rising interest rates on mortgages, home buyers are feeling pressured to act fast. On-the-fence home buyers are now becoming aggressive in their search to find the perfect home quickly, even going so far as to pay more than sellers are asking. If you're thinking of buying, or selling a home and need advice, any of our Signature Agents would be thrilled to help you at any time!